2013 marks the first time U.S. domestic crude oil production topped 7,400 thousand barrels per day since 1991, finishing out the year at approximately 7,466 thousand barrels per day according to EIA information. Domestic crude production increased 15.2% over 2012’s total production. 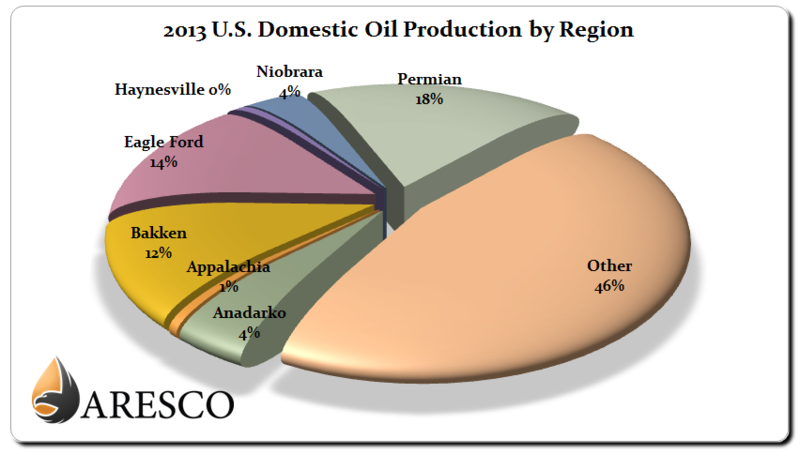 Permian Basin crude production led the nation in 2013, accounting for 18% of total domestic production. The top seven areas accounted for approximately 54% of domestic crude production.